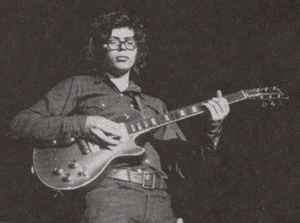 Alan "Blind Owl" Christie Wilson was the leader, singer, and primary composer in the American blues band Canned Heat. He played guitar and harmonica, and wrote most of the songs for the band. Born : July 04, 1943 in Boston, Massachusetts. Died : September 03, 1970 in Topanga, California. A Wilson, A. Wilson, A.Wilson, AC Wilson, Al "Blind Owl" Wilson, Al "Die Blinde Eule" Wilson, Alam Wilson, Alan "Blind Owl" Wilson, Alan "Blind Owl" Wilson, Alan “Blind Owl” Wilson, Alan C. Wilson, Alan Vilson, Alan Wilson, Allan Wilson, Allen Wilson, Blind Owl Wilson, C. Wilson, J. Wilson, Mysterious Al Wilson, Owl, Wilson, Wilson, A. C.